We are not commercial duck breeders so we do not have a large number of ducks. We would normally have about 12 to 20 ducks at a time excluding the ducklings. 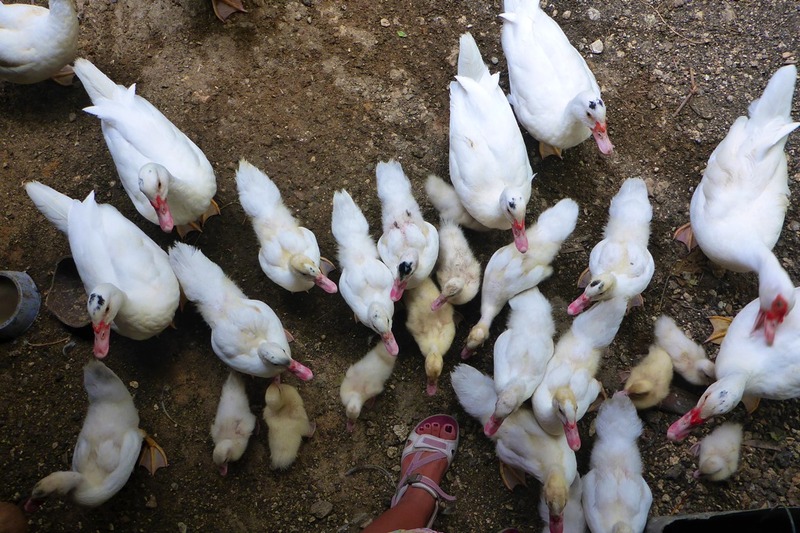 For us, this is a lot of ducks, too much for us to consume or sell to our neighbours in a small village. 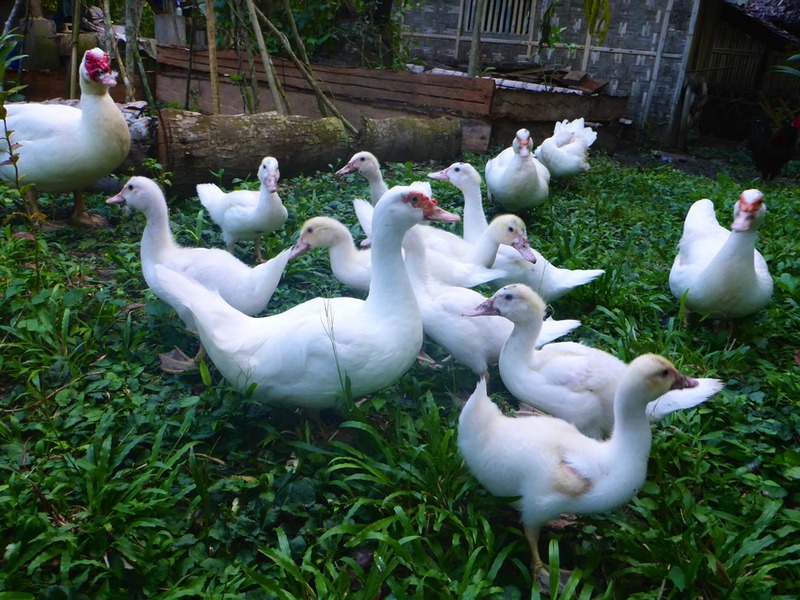 So we thought that maybe some people living outside of the village might wish to buy some ducks. You can buy ducklings or ducks. We also sell dressed ducks. 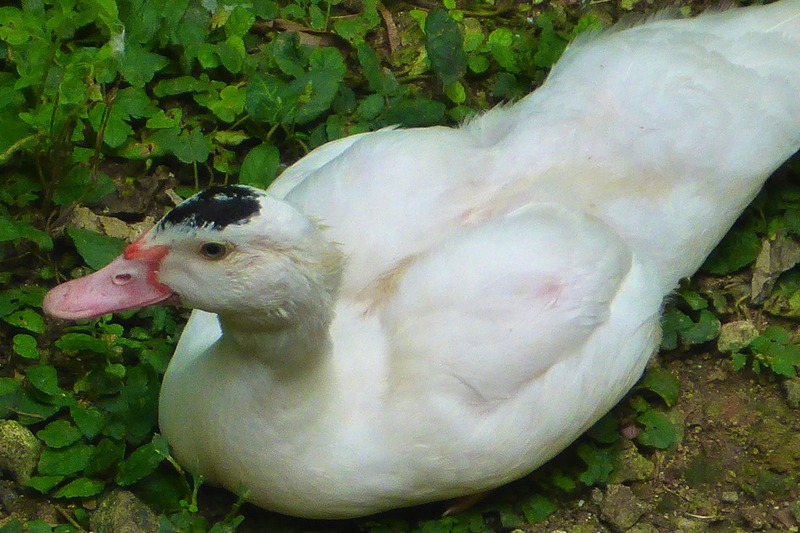 Muscovy ducks are called “Barbary Ducks” in the culinary context. This meat is plump, firm and its taste is often compared to roast beef. This meat is also lean and has less fat than other market meats or mallard duck meats. 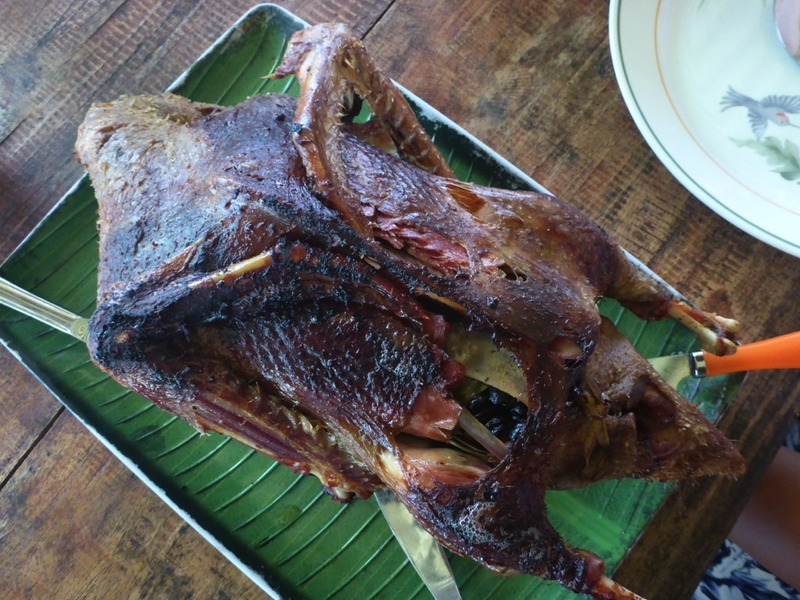 Popular Philippine duck recipes include Patotin (duck cooked in coconut wine) and Roasted Duck. 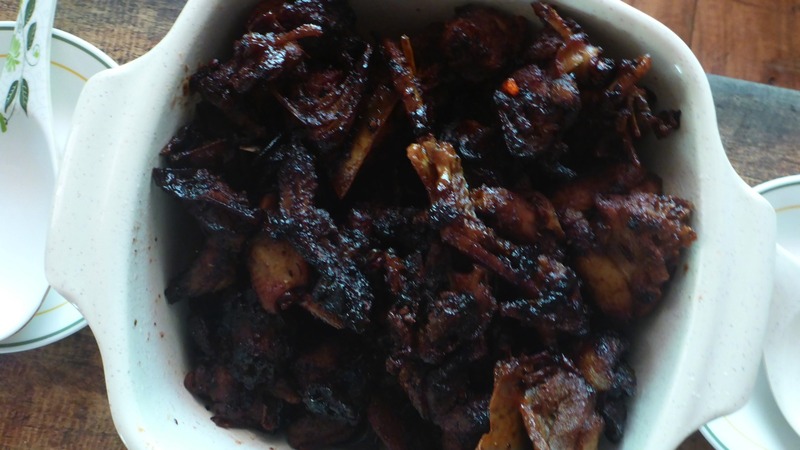 Other exciting recipes from other countries are Duck confit, Duck à l’orange, Bebek Betutu, Barbary duck with red wine cherries, Duck breast in sesame honeycrust, Barbarie in Romanoff sauce with rice, Pumpkin curry with peppers and duck, and more. 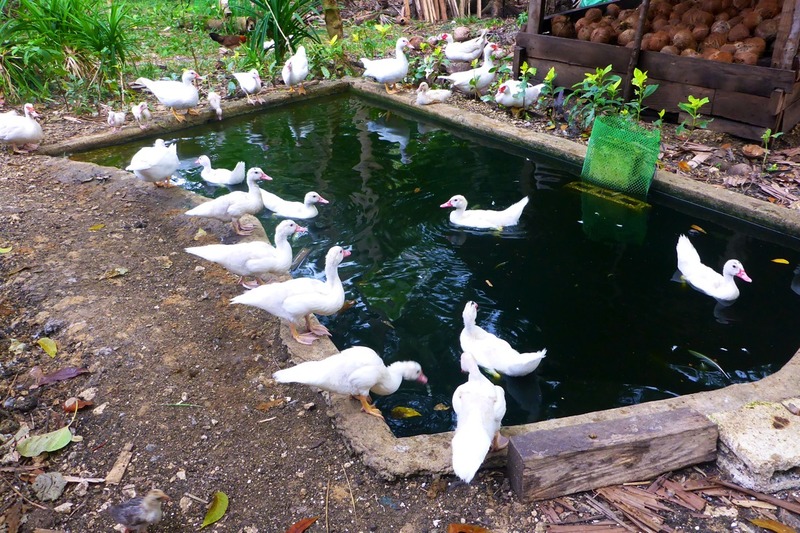 Our ducks are allowed to free-range in the garden with their own pond for swimming. 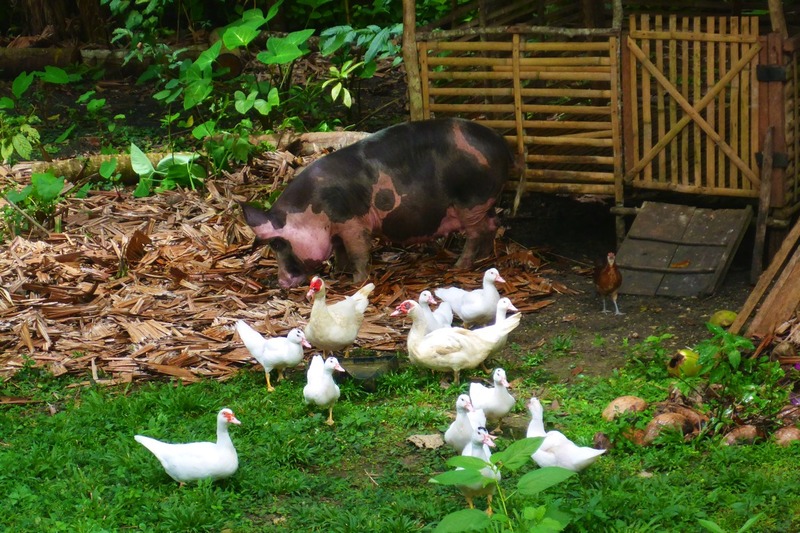 They eat commercial feeds combined with chopped or grated coconuts and sometimes chopped banana trunks. 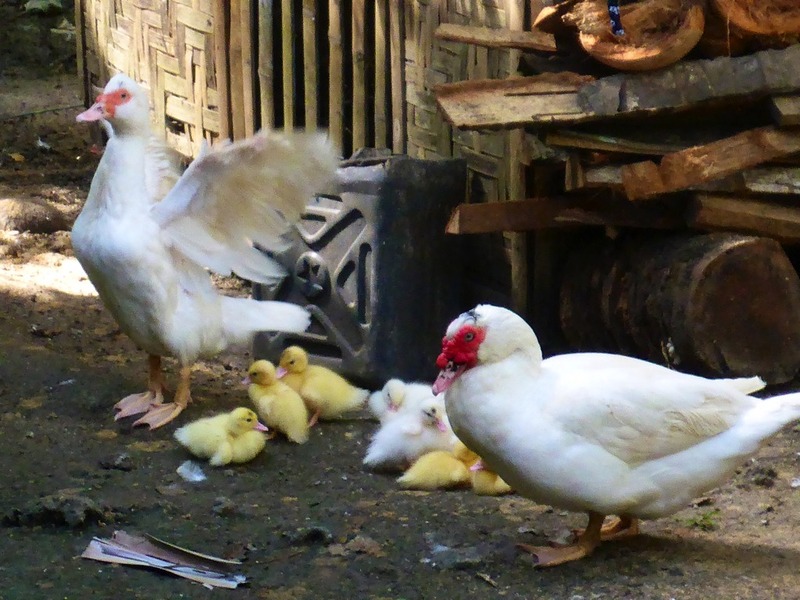 The ducklings are allowed to free-range but if there too many ducklings, some are kept in a separate coop to protect them from crushing. 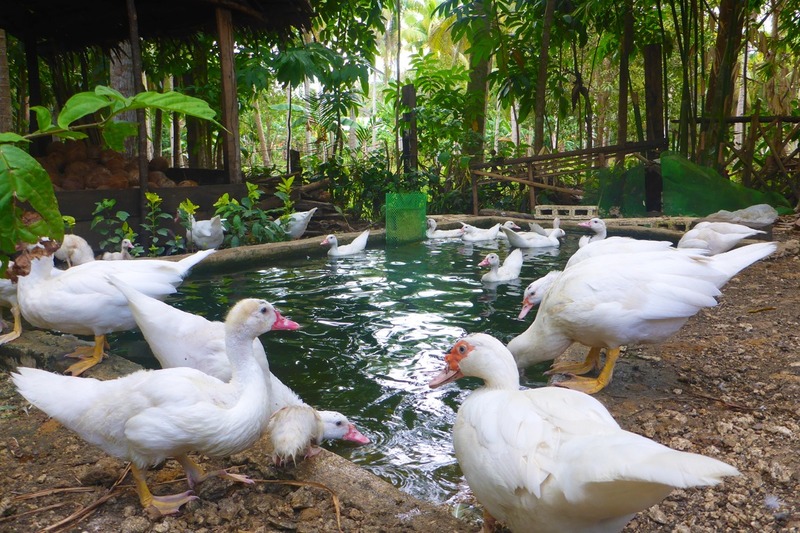 In confinement, they are fed chick booster, coconuts, papaya fruits, fresh anchovies, rice and green leafy fodder, and at 6 weeks old are let out into the garden to forage. 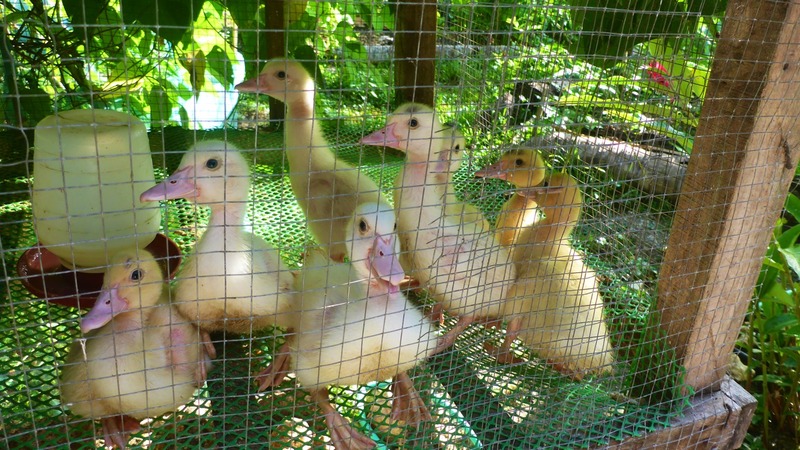 We do not sell ducklings younger than 2 weeks because they need to stay with their mother. We do not sell duck eggs. 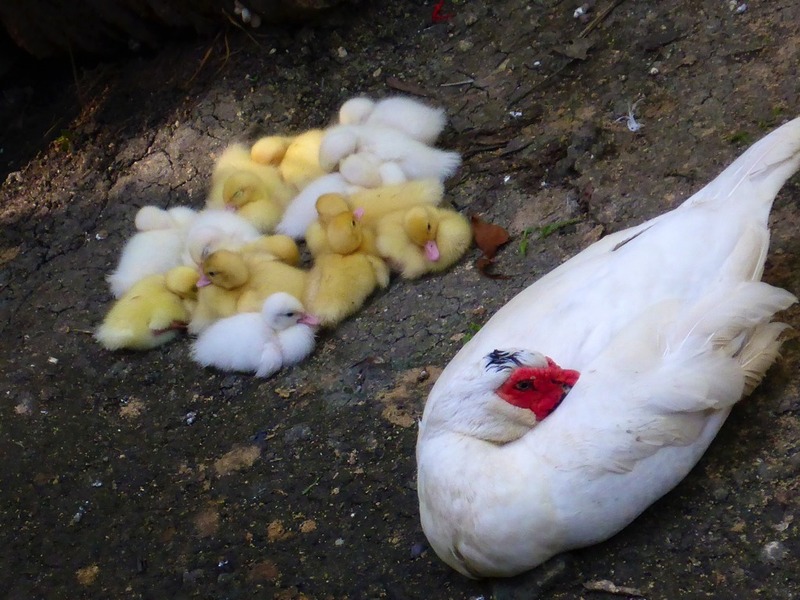 The domestic Muscovy drake (male) and hen (female) with their ducklings. The drake with ducklings. Drakes are known to rear their young with the hen. Ducklings warming themselves in the sun. 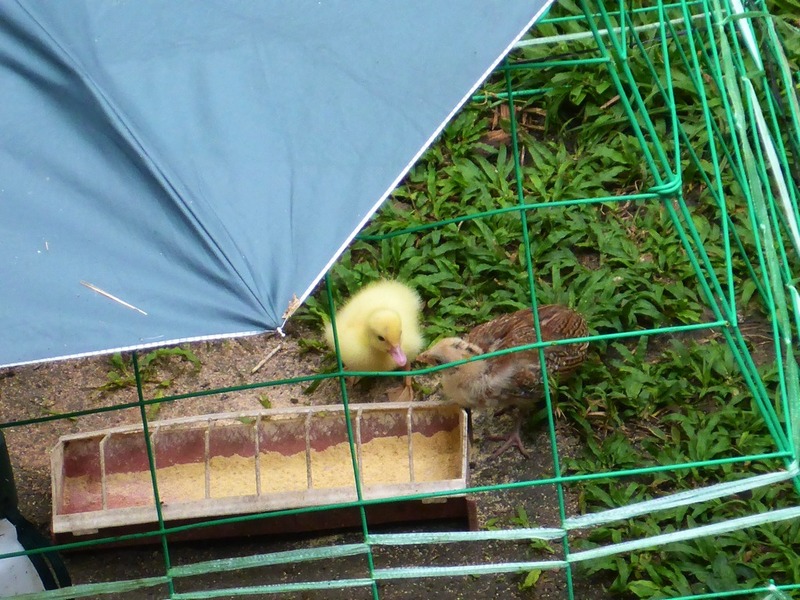 We have decided to keep the ducklings in a coop in order to prevent them getting killed by crushing by larger ducks. 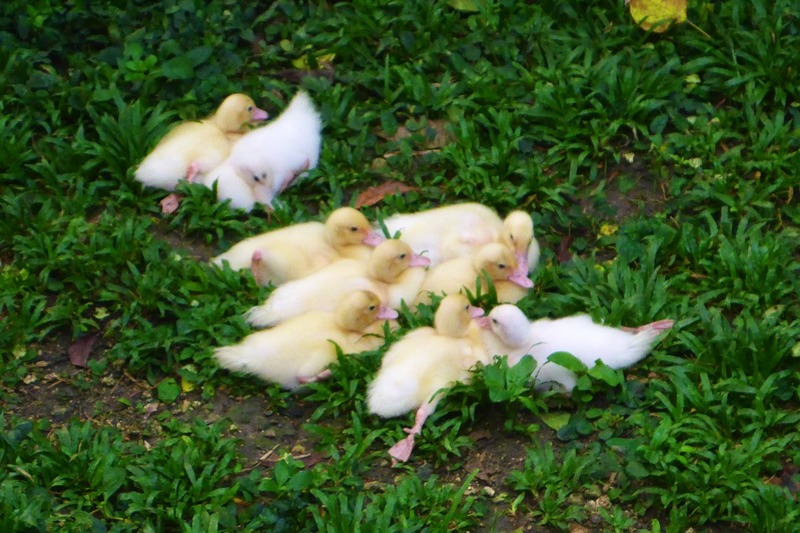 Here ducklings at 3 weeks old. The ducks have their own pond for swimming. 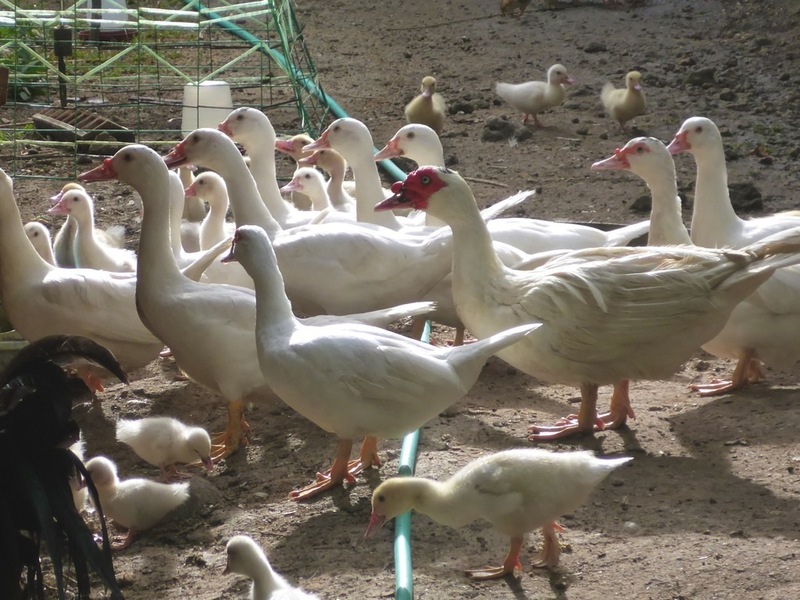 The duck population grows and becomes crowded so we need to sell some ducks. 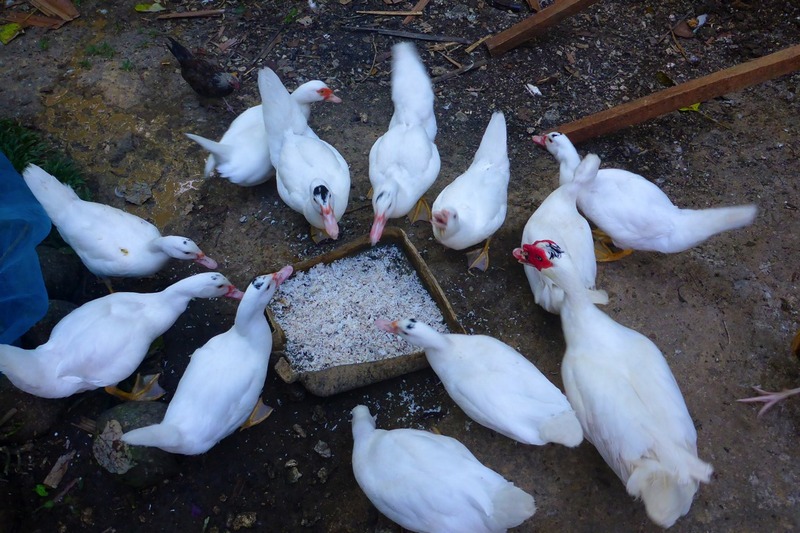 Here are the ducks eating grated coconut meat. 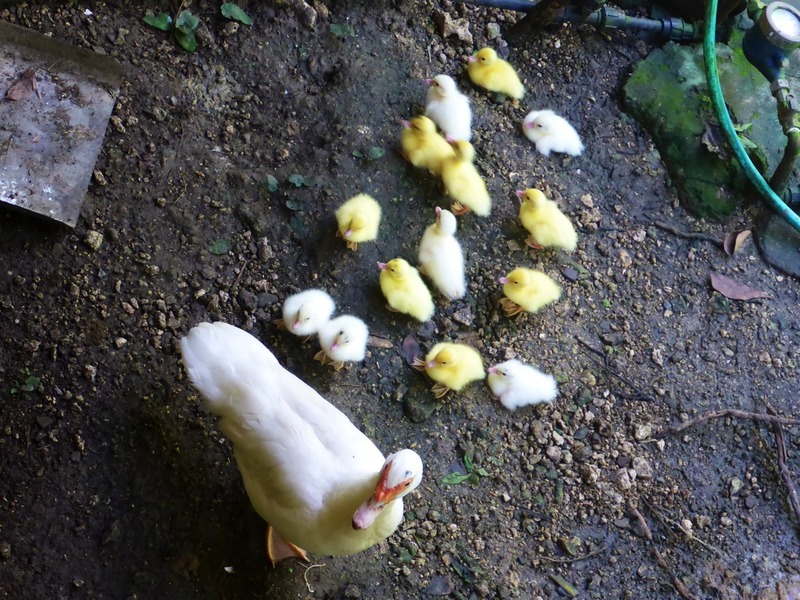 This photo shows the ducks in various ages – from ducklings to fledglings to mature ducks. A duckling shares food with a chick! 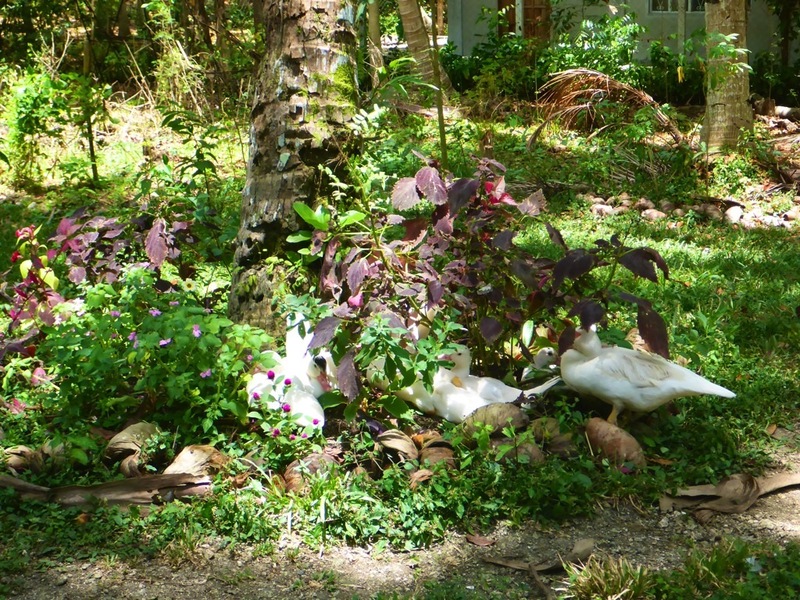 Here are the ducks relaxing amongst garden vegetation. Here are young ducks at around 2-3 months old, with the hen and drake (larger duck with red knob at the base of the bill). Ducks are allowed to forage in the garden. A young duck at 3 months old weighing one kilo. 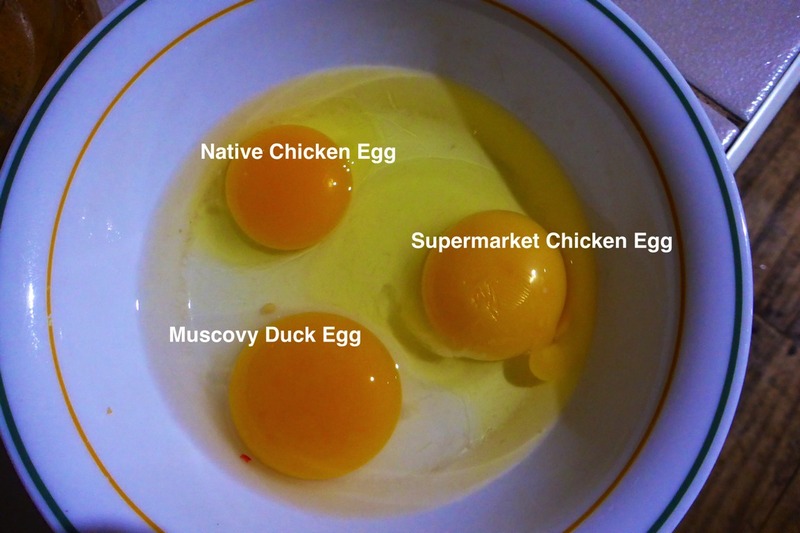 Comparing eggs in size and colour. Here we are cooking duck in wine ala “Coq au Vin”. 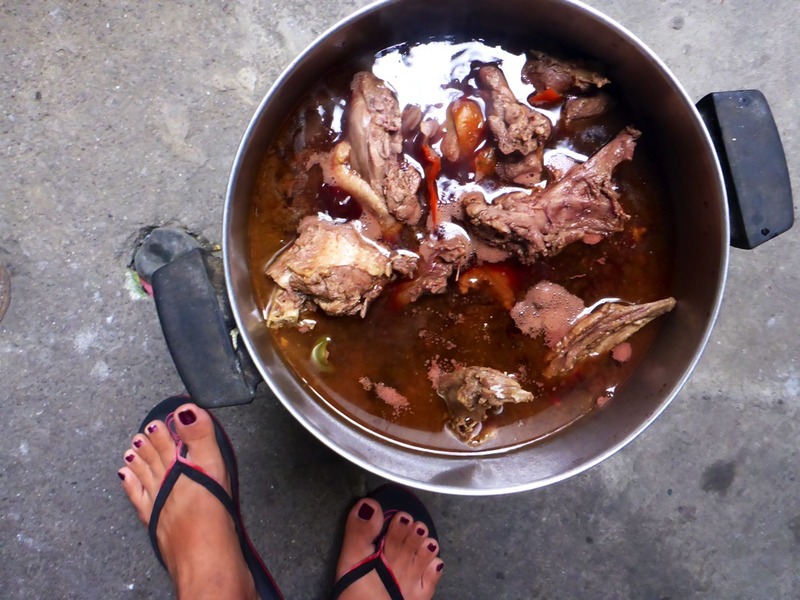 This is duck caldereta served for fiesta. 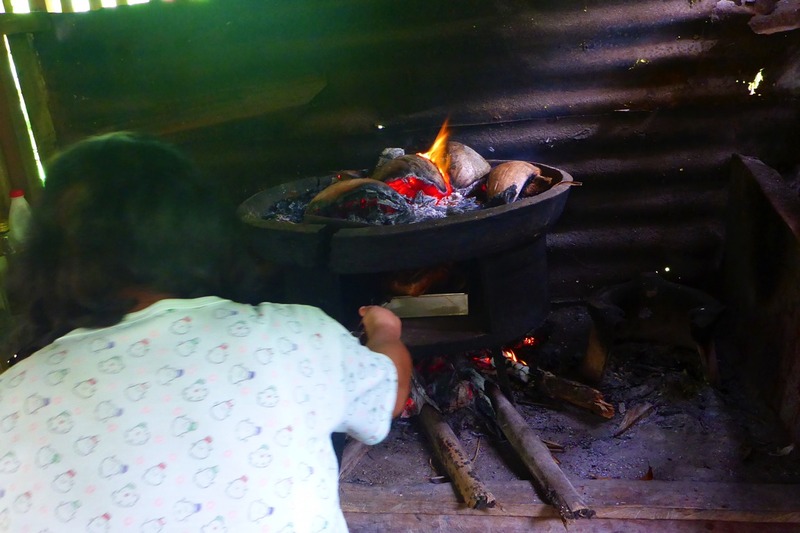 Baking duck in an old clay oven. Baked duck served for our guests. The duck is stuffed with black beans and lemon grass.